In the spirit of two of my favorite podcasts, Hello Internet and 99 Percent Invisible, I decided to redesign the Seattle city flag. 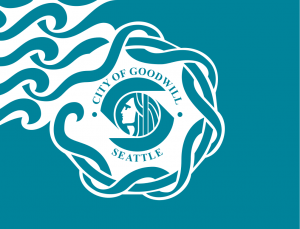 Seattle’s current flag was designed by councilman Paul Kraabel for the Goodwill Games. Both Mr. Kraabel and the Goodwill Games are a bit before my time, but I always have time for some Wikipedia. We can credit the Goodwill Games for bringing beach volleyball to the Olympic Games and for forever healing relations between the U.S. and Russia. Thank you Ted Turner! – Flags shouldn’t have words. They’re not readable and they’re not reversible. – The shapes are complicated and make it difficult to produce a sewn version. – It plops the city logo in the middle. Either focus on Chief Seattle or don’t. 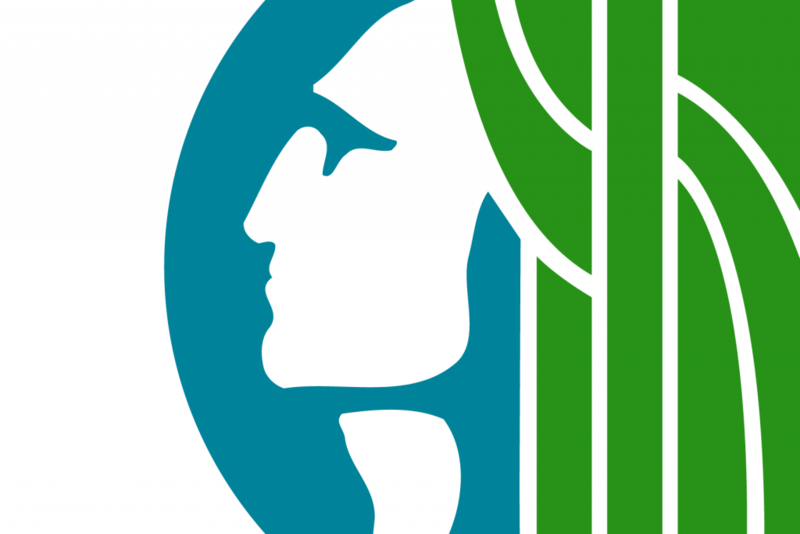 The depiction of Chief Seattle has been used to represent our city since 1937. He is featured on our seal, flag, and logo. One of my redesign goals was to use his iconic image without just putting a circle in the center of a rectangle. While exploring designs I found that the symbolism of the vertical triband fit our city well because we are in the middle of two mountain ranges and two bodies of water. This combination of Chief Seattle and a vertical triband lead me to the current design. Separating the colors with rigid vertical lines didn’t feel appropriate so I referenced the seal with curved separations. Once I had the elements of the design, I looked at dozens of color variations, but the most obvious choice seemed best. I added green to complement the teal and white of our current flag. Check out Flag Waver to see the redesign in the breeze. Check out the Vexillology Subreddit if you enjoy flag redesigns.